Over the last three years we have been working with Frantic Assembly to support this world-class physical theatre company to engage with young male east Londoners, through their incredible project Ignition. As one of the national partners we have introduced the company to new schools, community centres and groups of dancers from across east London, with the objective of nurturing the future of physical theatre. Dancers from across east London have participated in workshops and trials for the Ignition company. We will also give all of the participants an opportunity to join other programmes such as The Fi.ELD and the Artist Bank. "Frantic Assembly is excited to be working in partnership with East London Dance again to deliver our flagship Ignition programme. 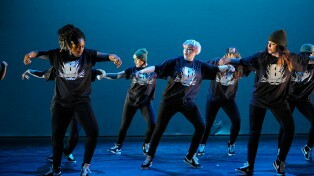 East London Dance brings a huge level of expertise and support to the project enabling the company to work with a range of young men from east London and ensuring the boys that take part can engage in further dance activities after the Ignition project has finished. As one of only two dance partners for the programme they provide a very important offer to the young men that engage with Ignition. 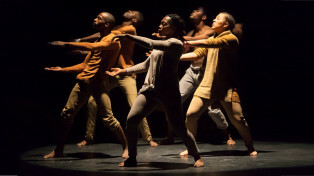 East London Dance's values of innovation, excellence and long term development of artists fits perfectly with Frantic Assembly and our Ignition programme and we look forward to finding and nurturing new talent together over the next three years." Ignition is funded by Esmée Fairbairn Foundation. Are you male? Aged 16-20? Then try out this fast, risk-taking, style of physical theatre! A high energy, street dance class for beginners. Celebrating an incredible 10 years Collabo brings together amazing hip hop artists in unique collaborations for an explosive evening of dance.